Do you count your inventory once or twice a year? How accurate do you think your inventory is? Reduce the effort & cost of asset management by Litum RFID Asset Tracking System. Litum RFID helps track, monitor, maintain your assets, equipment, tools with higher efficiency. Our asset management system, together with Litum RFID asset tracking software, offers increased visibility in real time, with counting and inventory at your fingertips. Our asset management system is perfect for businesses and organizations that have a wide variety of small tools and equipment to keep inventoried. Retailers, IT companies, airports, banks, offices, manufacturers, and hospitals can all utilize our asset tracking system. 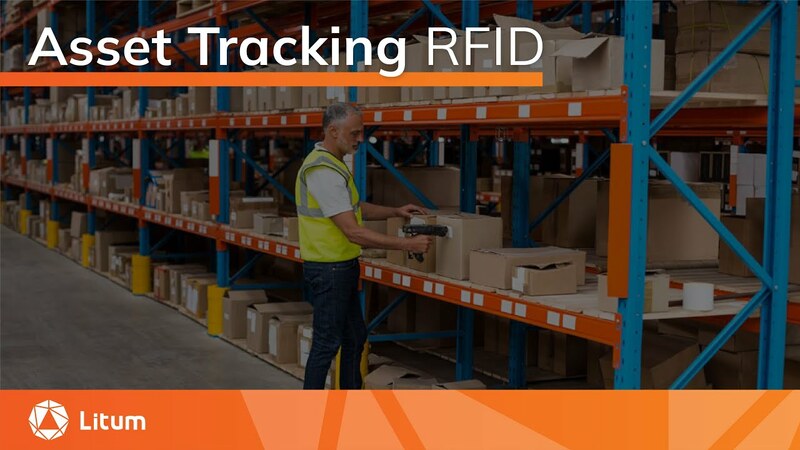 Litum RFID asset tracking solution works seamlessly with mobile RFID readers and fixed RFID portals to improve control over asset movement, real time location accuracy and security. Our passive UHF RFID tags are available in a variety of styles suitable for different environments and types of equipment. Litum can provide flexible non-metal tags, metal tags, plastic tags, and outdoor/indoor tags for use on assets. Our RFID tags remain unobtrusive, while allowing you to improve asset visibility and manage important data about each item. We have also made the process of tagging assets simple and straightforward with pre-designed label templates. It can take days or weeks to inventory every asset in a building. With the Litum RFID asset tracking system you can complete an inventory up to 20 times faster than with traditional barcode scanning. Personnel can use a handheld RFID reader to instantly count every tag in a room, providing you with a current and highly accurate inventory. The tags are easy to ping from a distance of three to ten meters. The data from each tag is interpreted by our software and a list of assets is created. You can also set the system to compare the list to an existing inventory list to see if something is missing or shouldn’t belong in that room. Reduce man hours, effort, and the potential for human error with this RFID asset tracking equipment. Companies can tie important information about each asset to their RFID tags. We’ll create a database to store information, digitized documents, warranties, and receipts on. Our web-based software easily integrates with SAP software for other departments, such as accounting and IT, to access the data whenever needed. Businesses can also improve ROI by keeping sensitive equipment well-maintained and calibrated using our RFID asset management software. Set up maintenance and calibration schedules. Create automated alerts to remind you of each scheduled event, too. This system can help prevent unexpected replacement costs, keep assets from breaking down, and allow you to find misplaced items quickly. Learn how you can improve your inventory accuracy and asset workflows now!